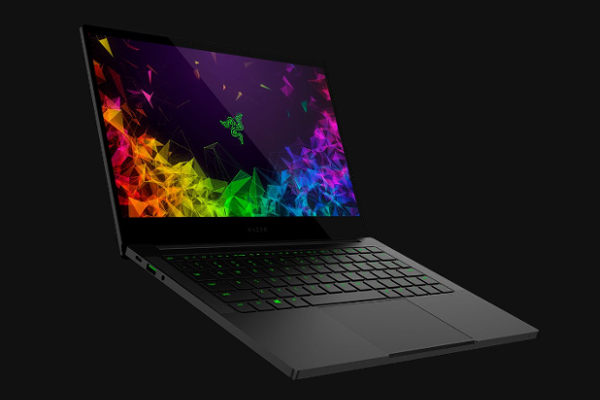 Razer Blade Stealth 13 (2019) with 13.3" 4K display, NVIDIA GeForce graphics and Whisky Lake 8th Gen Intel Core i7 processor launched. Razer today announced the release of their redesigned 13-inch ultraportable laptop line consisting of three new configurations. The new Razer Blade Stealth is now available with individually calibrated micro edge thin-bezel displays with up to 4K resolution, increased battery life of up to 13 hours, and available NVIDIA GeForce dedicated graphics. The Razer Blade Stealth is available in a 13.3" 4K (3840 x 2160) resolution with touch functionality and supports 100% sRGB color space. For additional security and convenience, the Razer Blade Stealth comes with a HD 720p IR web camera that supports Windows Hello, a first for the Razer Blade family. The Razer Blade Stealth comes with up to 13 hours of battery life. All configurations include a built-in 53.1Wh battery that has been optimized for all day mobility.